Ratech wants all racers to know about The Myth that "All Shim Packs in the market are the same. Pit Stop USA is The Online Motorsports Superstore! We feature Pinion Nuts at low everyday prices. Pit Stop USA is The Online Motorsports Superstore! We feature Pinion Setting Tools at low everyday prices. Pit Stop USA is The Online Motorsports Superstore! 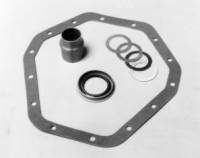 We feature Rear Cover Gaskets at low everyday prices. Pit Stop USA is The Online Motorsports Superstore! We feature Ring Gear Bolts at low everyday prices. Pit Stop USA is The Online Motorsports Superstore! 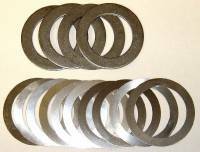 We feature Spacers, Shims & Sleeves at low everyday prices. 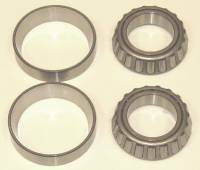 Ratech Carrier Bearing Set - Ford 9", 3.062"
Ratech Carrier Bearing Set - Ford 9", 3.250"
Pit Stop USA is The Online Motorsports Superstore. Ratech wants all racers to know about The Myth that "All Shim Packs in the market are the same. They're just washer shaped steel that come in different thickness." WRONG! Ratech manufacture all of their shims in-house on their own machinery. Ratech uses the absolute finest American made Hardened Shim Stock available. Ratech uses only hardened shim stock not sheet metal gauges. Shim stock comes in .002 increments whereas sheet metal is soft and the gauges are all over the map with many gaps in thickness and .0005 sizes. The thickness range of Ratech shim packs are much broader. What does this all mean to you? No more pinion shims splitting when used in performance applications. No more gaps in the shim pack thickness range. No more problems getting a non-OEM gear set to the right specifications because it was made to wider tolerances than OEM. Ratech designs, manufactures and resells small parts for automotive and light truck axles. Ratech is not a large conglomerate selling all types of products and Ratech is not a packaging house. Ratech knows what they sell and use what they sell on their own cars. Ratech Ring and Pinion Installation Kits come in several series. 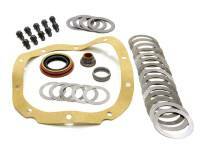 Ratech 400 Series Basic Kits include Pinion Shims, Crush Sleeve, Pinion Seal and Cover Gasket. 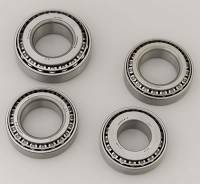 Ratech 200 Series Bearing Kits include Pinion and Carrier and Pilot bearing for Ford 8" and 9". Ratech 300 Series Complete Ring and Pinion Installation Kits include Pinion Shims Carrier Shims, Crush Sleeve, Pinion Seal, Pinion Nut, Ring Gear Bolts, Cover Gasket, Bearings and Marking Compound to complete a Ring a Pinion Installation. The Ratech Pinion Setting Tool is designed to work with aftermarket gears that have the checking distance marked on the pinion head. It does not work with OEM gears which do not contain the checking distance info. We feature Ratech Ring and Pinion Installation Kits at low everyday prices.